Vietnamese chicken noodle soup recipe has been known as a Vietnamese traditional dish for a long time. Nowadays, it is not only popular among Vietnamese, but is also becoming a favorite specialty for many visitors and foreigners. So, this weekend, why don’t you try cooking this tasty dish for your lovers and family? Don’t be worry! 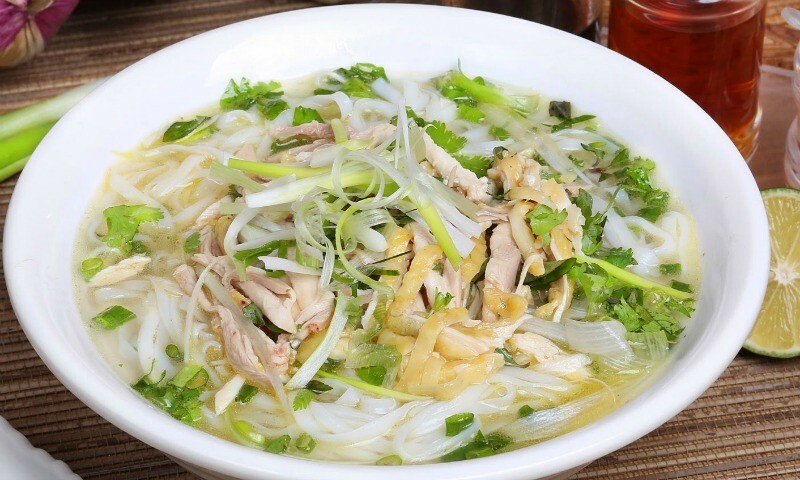 This article provides you with simple step-by-step instruction to make delicious bowls of Vietnamese homemade chicken noodle soup recipe. What you need to prepare are just a chicken, some ribs, noodle, and necessary spices as below. Let’s start! Wash the ribs before putting them into a pot. Pour cold water in and start to cook until the water boils (you can see the grease floating on the surface). Turn off the gas stove and remove this dirty water. This step helps the broth look clean and delicious in the end. Pour a little oil into the pot. Take some baked dry onions to stir with boiled ribs. Add some salt into this. Next, pour in cold water which is adequate for a meal and start to boil for the broth of the Vietnamese chicken noodle soup recipe. At the same time, put the chicken into the water to boil together with ribs and the broth. 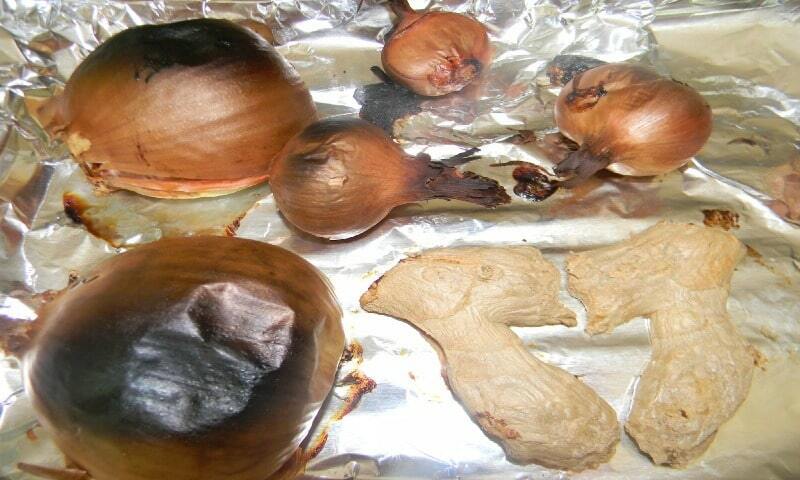 Bake gingers and dry onion on fire to create good smell. 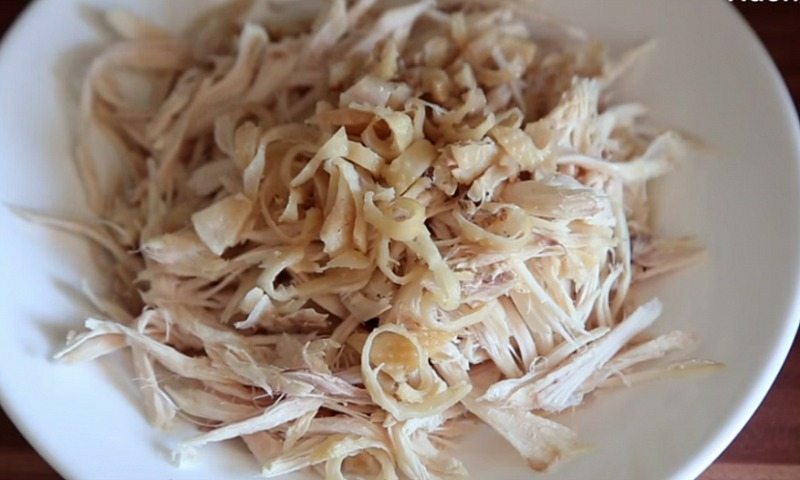 It is very important and makes the difference delicious taste for your Vietnamese homemade chicken noodle soup recipe. Roast the seeds. Peel the onion into adequate small slices. After that, use a clean cloth to wrap up the spices and put into the pot of broth. When it boils, turn down the fire. 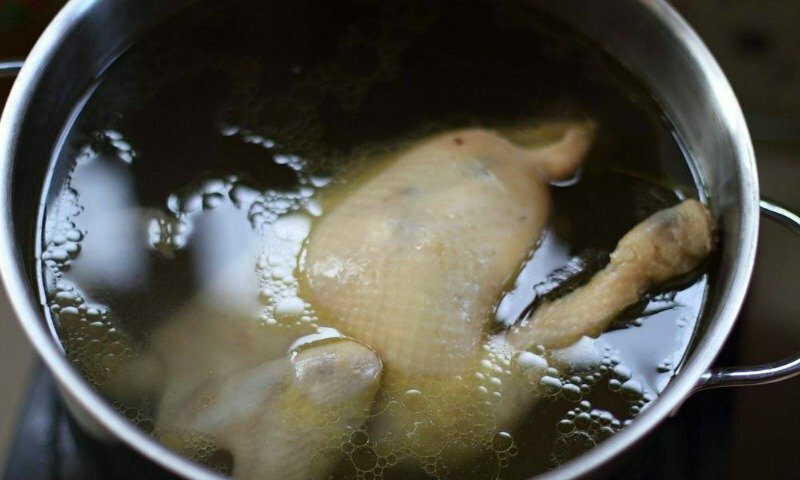 Check when the chicken is well-cooked, take it out to get rid of the water and wait until it cools down. Take out the bones. Tear the meat into small pieces. 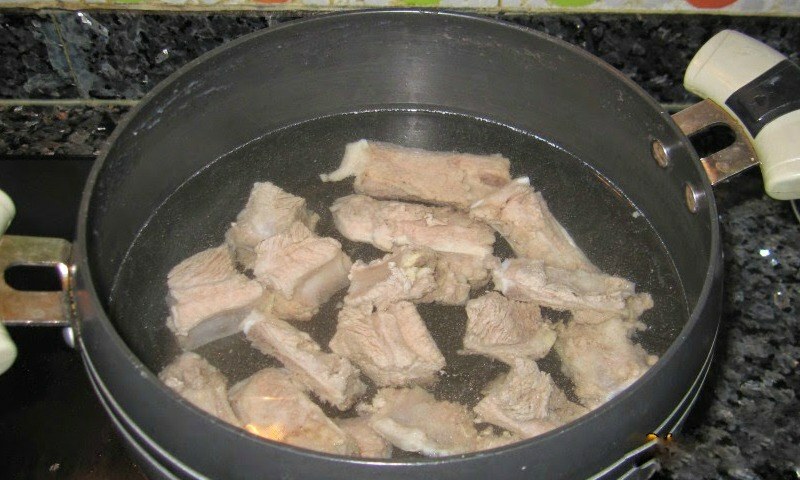 Put all the bones, heads, necks, and legs parts into the pot of broth to help the water tastes sweet. Refine the broth through a grate. Take out the bones of chicken, ribs, other spices and leave them aside. Then, boil the broth again. Add some necessary spices such as salt, monosodium glutamate, chili pepper until it tastes good. Finally, turn off the gas stove. The delicious broth must have the sweet taste of ribs and chicken bones, sweet smell of ginger and onion, as well as other spices such us anise, cinnamon, and goji. Soak the dry noodle into boiled water so it is softened. Let it drier and put it into a bowl. Add torn pieces of chicken on it. Next, sprinkle above with green onions and herbs. Pour in some scoops of broth and add some thinned pieces of lemon leaves. Remember that it is better to use boiling broth. Now, you can enjoy your ready homemade noodle soup with peppers, lemon, chili pepper, or whatever you like. 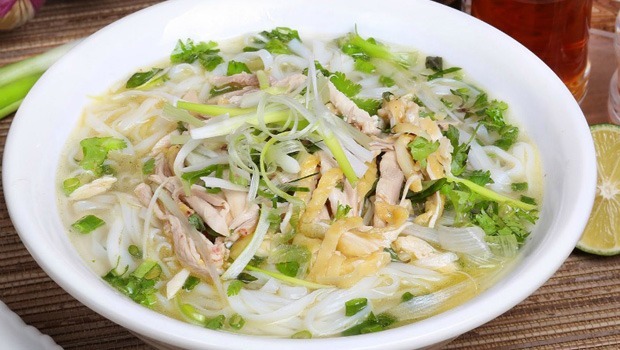 One traditional custom in Vietnam: this Vietnamese chicken noodle soup recipe is believed to taste the best while using with ceramic bowls and bamboo sticks. It is not complicated at all and very quickly, is it? Wish you success and good appetite!